Are you sure this patient is new? There has long been confusion about whether to report a new or established patient visit when the physician providing the service is new to the group but has seen the patient elsewhere in the last three years or when the patient seen by Dr. A today has been seen by Dr. B of the same group at another of the group's locations. It is more important than ever to clear up this confusion. Why? The recovery audit contractor for Medicare Region D(racinfo.healthdatainsights.com), which covers 17 states, lists this(racinfo.healthdatainsights.com) among the issues that they are investigating. Other RACs and private payers may do the same. It is easy for an auditor to produce a report showing new patient E/M service codes reported for a given patient. 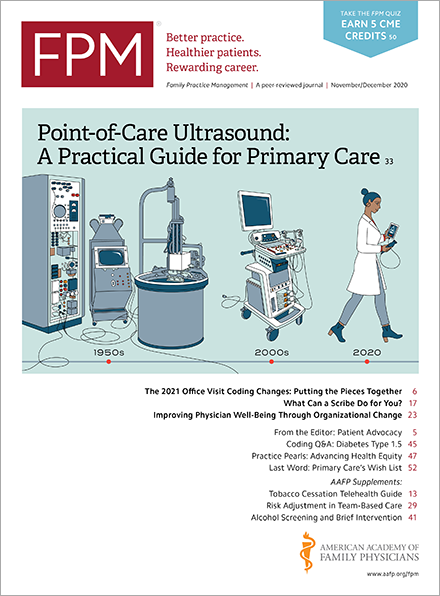 If these reports show that a patient was charged for new patient visits by the same physician or more than one physician in the same group with the same taxonomy number (specialty number) in the past three years, a request for records or, more likely, a request for a refund, may be generated. First, make sure that everyone choosing E/M service codes in your practice understands the CPT and Medicare guidelines for reporting a new patient E/M service: Interpret “new patient” to mean a patient who has not received any professional services, i.e., evaluation and management (E/M) service or other face-to-face service (for example, surgical procedure), from the physician or another physician of the same specialty in the group within the previous three years. Note that interpreting a diagnostic test, reading an X-ray or EKG, etc., in the absence of an E/M service or other face-to-face service does not affect the designation of a new patient. If a professional component of a procedure is billed but no E/M service or other face-to-face service with the patient has been performed in three years, then the patient remains a new patient for the initial visit. Next, add a step to your pre-appointment or pre-billing process to review the patient's billing history in your practice management system and determine if any face-to-face service was billed for the patient within the past three years. If a service was provided within the past three years, determine if the patient's service must be reported as established based on the CPT and Medicare criteria. This decision tree from FPM is a handy reference that can help you determine quickly whether the patient is new or established. Also see Emily Hill's article, which provides additional information on this topic. Home / Journals / FPM Home / Getting Paid Blog / Are you sure this patient is new?